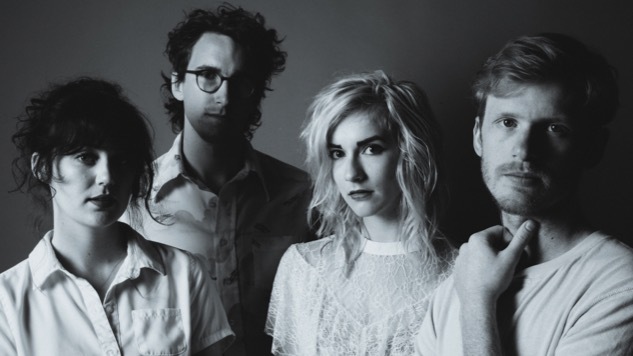 Daily Dose: Neighbor Lady, "I Wish Nothing"
The Atlanta indie rockers' debut, Maybe Later, is out May 11. A little bit country and a little bit rock and roll, Atlanta’s Neighbor Lady make tough-but-breezy indie that is instantly appealing. Their forthcoming debut, Maybe Later, floats between dreamy ballads accented by singer Emily Braden’s refined, retro-inspired voice, and soaring rock songs stacked with riffs. Today’s Daily Dose, “I Wish Nothing,” fits into the former category, and it’s Braden’s “favorite” from the record. Hear “I Wish Nothing” below. Neighbor Lady’s Maybe Later is out May 11.